For those that follow our "British Wildlife Centre" Facebook page, you may have seen our new cover star for our 2017 leaflet. 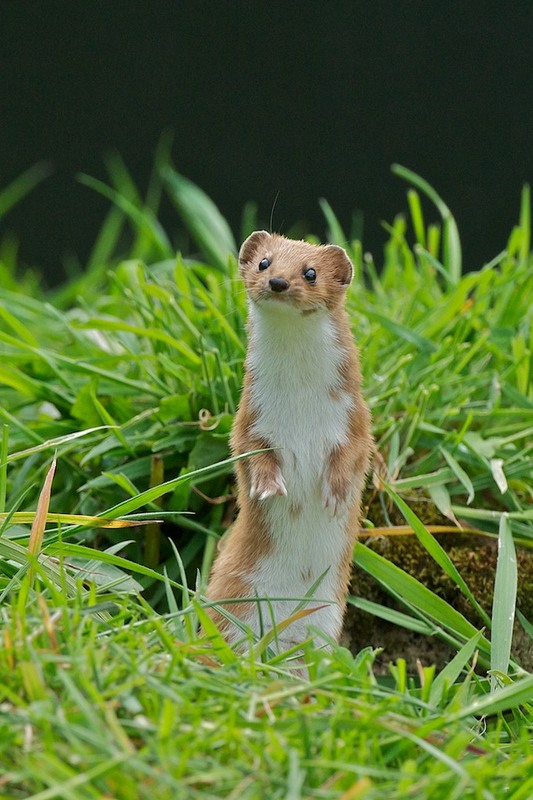 "Houdini" the weasel. The office selected the above photo to grace the front of the leaflet for next year, and I was particularly pleased to see on elf our less known animals make the call! Weasels are such amazing animals, our smallest carnivore in this country... it is said that a female weasel could fit through a wedding ring, and this is probably true... but I would have to say it would need to be a small weasel and a big wedding ring. 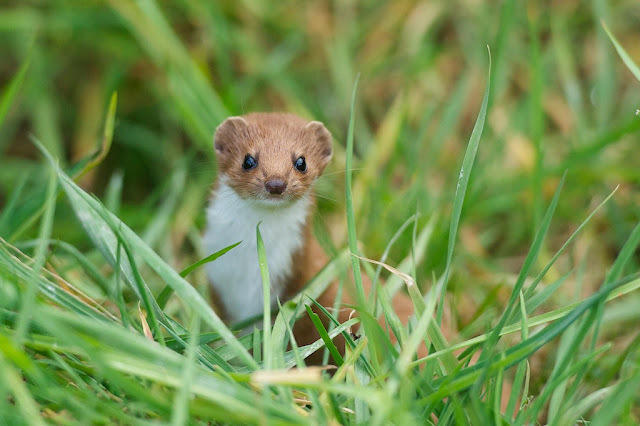 One thing I always use to try and explain to people the size of a weasel, is a comparison to a pack of Polos. A female weasel is about the same size. I must try and get a photograph of one of our weasels next to a pack at some pout to illustrate this. You see, I was often asked "is she called Houdini because she escapes a lot?" And the truth is she never escaped once while she was here. Robin however did have an interesting car journey home. 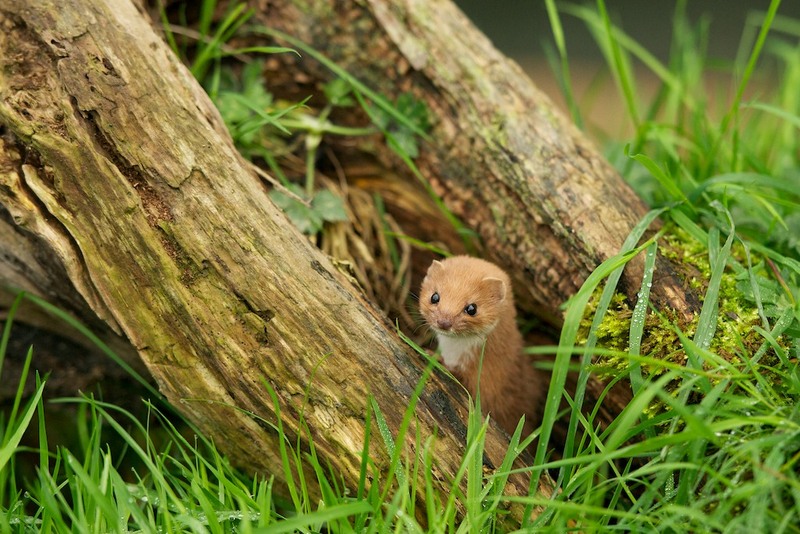 I don't have too many photographs of our weasels, they are extremely quick and fast, but you can see a couple of different poses in this post. 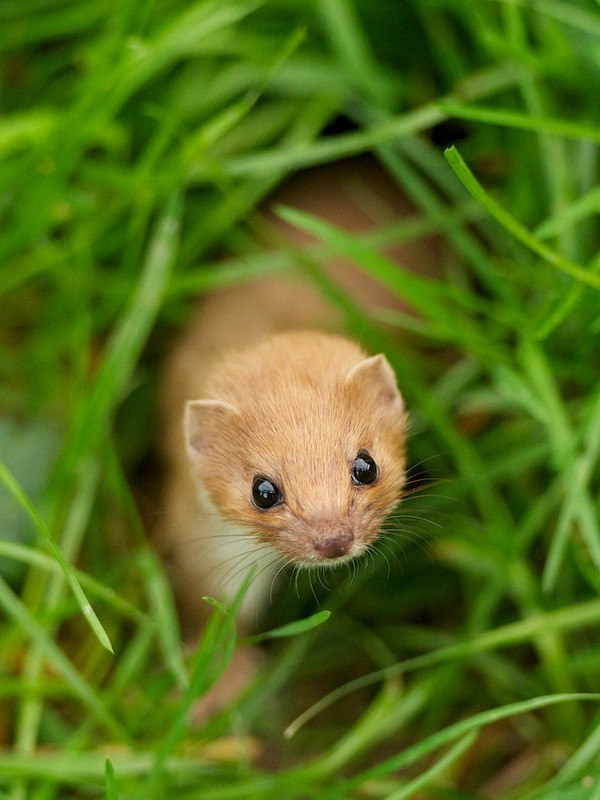 My favourite is the second picture in this post, a classic portrait which you all know I like, and in the grass which really shows her scale and how small weasels really are. Great shots of a really hard to capture creature, sorry to hear of her passing matt. Look forward to my next visit. Thank you for your comment. See you at the Centre soon.